Conversation is the most powerful tool we will ever have! A mission-critical project is spinning out of control. Failure will mean lost customers, lost revenues, lost prestige for a venerable financial institution and – no doubt – lost jobs. Can anyone or anything save it? When Paul Hunchak is invited to take on the task of bringing Project Delta back on track, the first thing he does is update his résumé. Saying no to the quirky CEO would be a career limiting move. Saying yes looked just as bad. A not-so-chance encounter with a neighbourhood barista induces him to take a chance, take the assignment and take on the real problems with the project and the organization. 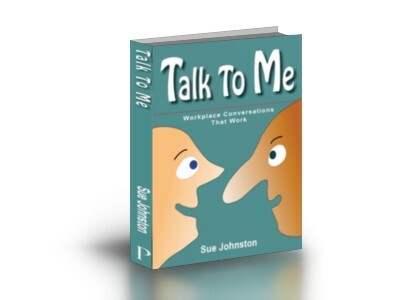 Talk To Me: Workplace Conversations That Work follows the adventures of a reluctant hero as he strives to make sense of the nonsense. Join Paul as he discovers how the way we talk affects the way we work. You’ll learn breakthrough techniques to end the habits that lead to miscommunication and misunderstanding. Part novel, part workbook, Talk To Me weaves practical lessons around a story of one man’s experiment in helping his team to use the most powerful business tool we will ever have – conversation. The book examines ideas emerging from such studies as positive psychology, social and emotional intelligence, neuroscience, and coaching.